As the days grow longer our barn friends venture out more often. They are anxiously awaiting buds and sprouts of all shapes and sizes to be delivered to their back door. 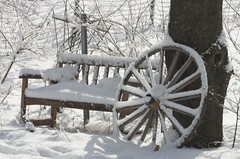 This winter has been full of surprises and the biggest is the return of snow and wintertime play. What a great year it has been for skiing, sledding, and snowshoeing! I actually found myself hoping for just a few more inches after last weeks rain had made a skating rink out of the field and hillside. I am glad that spring is on the way but am also anxious to enjoy winters last blasts. 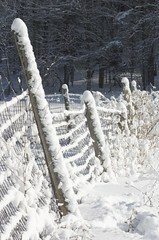 It is interesting that the more I am outside the less contempt I have for this icy season. 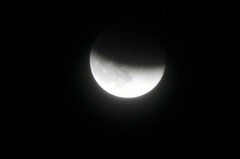 After the clouds passed I was able to capture the latter half of the eclipse. It was magical to watch this celestial event as the cool, crisp February air bit my cheeks.